Make no mistake, a guitar stool isn’t quite your ordinary chair or bar stool. These are professional pieces of equipment, designed and engineered especially with a musician’s needs in mind. A lot of research involving musicians and physicians has gone into the making of these sometimes unassuming seats. If you have ever rehearsed your set on a professional guitar stool and then arrived at your show only to find out that you’re going to have to play on a standard-sized dining chair or, even worse, a chair with armrests (do not laugh, it has happened to me! ), you know how much both you and your performance suffer. 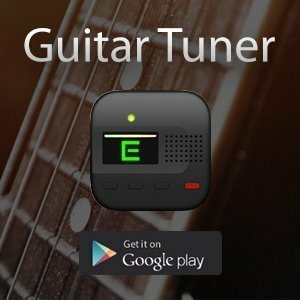 Guitarists spend hours every day rehearsing. 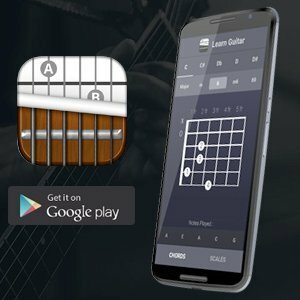 From the very beginning, any good teacher will point out that playing guitar is more than just moving your hands or fingers. Our fine motor activity and the flowing movement of our hands and fingers depend on how relaxed and comfortable a position we can achieve. Even our kinetic memory is affected by our position. If you look at guitarists with tense backs or hunched shoulders, you can usually notice that their playing, like their posture, is uneasy and forced. Let’s not even talk about long-term damage to your spine, tendons, and muscles. A quality guitar stool can help you a lot in achieving and maintaining an ideal posture. When choosing yours, take various factors into consideration. Number one is the age-old question: does size matter? Well, as far as guitar stools are concerned, yes. One of the biggest factors is definitely height, as the angle of your legs influences and supports your back. How do you play? Do you cross your legs, do you prefer a lower position of the guitar, or do you use a foot stool? Some guitar stools have fixed legs. While they make a nice accessory for the studio or rehearsal room, they may not be so easily transportable and, depending on your own height and length of legs, they may not be your perfect fit. Have you ever been made to perform on a wobbly or really fragile chair? You may have noticed that concentrating on balancing your body like a mountain goat on a rock, and playing your guitar simultaneously, really amounts to a Sisyphean task. I recommend busking on moving buses to prepare for those kinds of gigs. I’ve learned to bring my own stool with me, and things I look out for are sturdy, height-adjustable stools that are comfortably padded. One last dividing element is the backrest. Whereas some players insist on the classic, cool look that a low stool or a bar stool affords, I am more inclined to vote for the backrest. Hours of rehearsals or long gigs sometimes exhaust my back, no matter how good my position. It’s comforting to know you can lean back a little and count on some extra support, too. 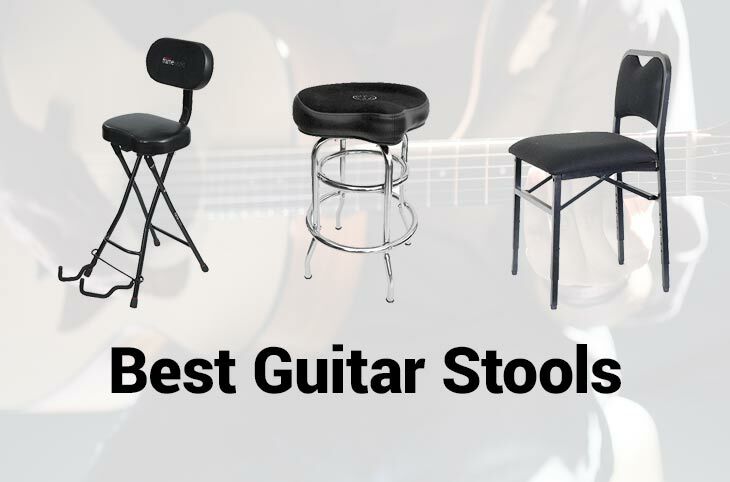 Here are my Top Five of guitar/instrument stools. This is my personal favorite: a foldable chair, with padded seat and backrest, and height-adjustable legs. The legs move in 1” increments, which means that you can not only control the height, but also the inclination of the seat. I have found this the perfect companion both in the rehearsal room and on stage. It is sturdy, folds up neatly, and virtually adjusts itself around my needs. This chair allows me to position myself comfortably, fully relax my back and concentrate on my performance. An ideal stool for classical guitarists, this seat facilitates correct positioning of the legs through its ergonomic cut-away seat design. Its comfortable padded seat immediately raises a smile on each weathered performer’s face. The sturdy chair with the classic wood design has a backrest and is foldable, which is a bonus when it comes to transporting it between rehearsal room and venue. It comes in three different seat heights, so you can choose the stool that most accommodates you. Although marketed as a drum and keyboard stool, it makes an excellent seat for guitarists, too. Foldable, with sturdy, non-skid rubber feet and height-adjustable tripod legs, this round stool makes a good companion for both for rehearsals and performances. The drawback to consider is the absence of a backrest. If you like saddle seats and aren’t bothered about the backrest, this might be your performance stool of choice. Available in two seat heights, it features a swivel seat that can come in handy if you enjoy making eye-contact with your band-mates. The only real drawback is that the stool doesn’t fold up, so you will have to make some space in the van to take it along to gigs. This is an excellent stool for performances, especially in small, intimate places. The stool combines padded seating with an instrument stand that holds acoustic, electric and bass guitars. Its ergonomically designed backrest gives you that extra support I mentioned, and the seat folds up neatly, which means you can easily take it along with you. The only drawback here is that it is not height-adjustable, and if you aren’t comfortable supporting your legs on the metal bar, it’s not going to be the stool of your choice. Every guitarist loves talking about their instruments and equipment. However, I’ve very rarely had conversations about guitar stools, and yet... we spend hours sitting on them, every day! Over years of practicing for hours every day, mostly on wooden chairs, my back got constantly worse, and I decided to investigate the matter. To my surprise, I found out there was a whole industry dedicated to aiding the ailing guitar player’s back and posture.